Westhall street sign with epic mountain views in the backgrond. 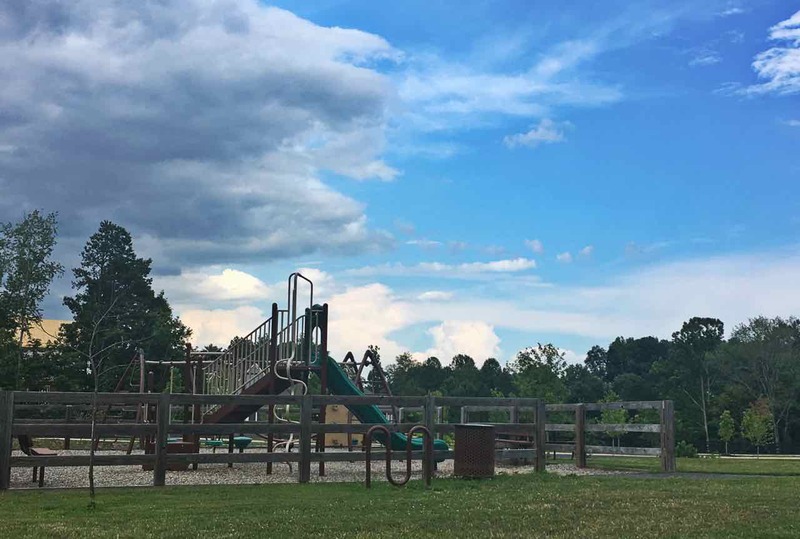 Playground in Crozet's Westhall subdivision. Spread of home with mountains in background in Westhall. 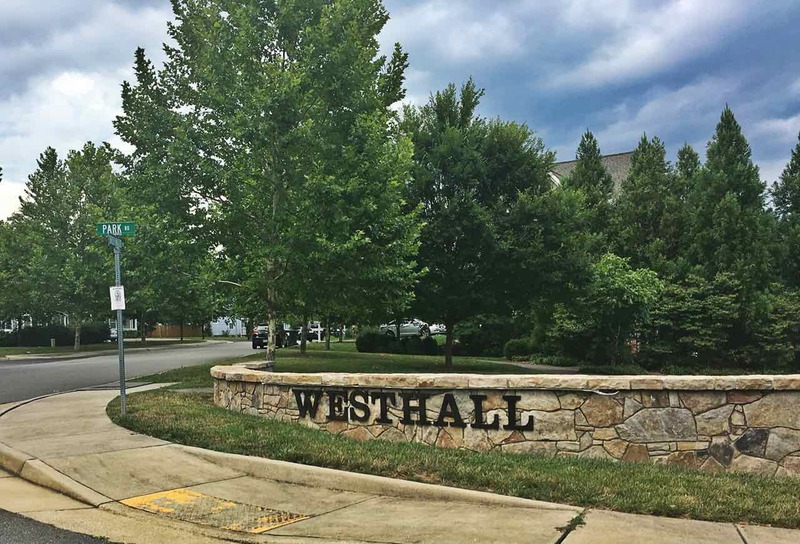 Westhall signage to enter neighborhood. 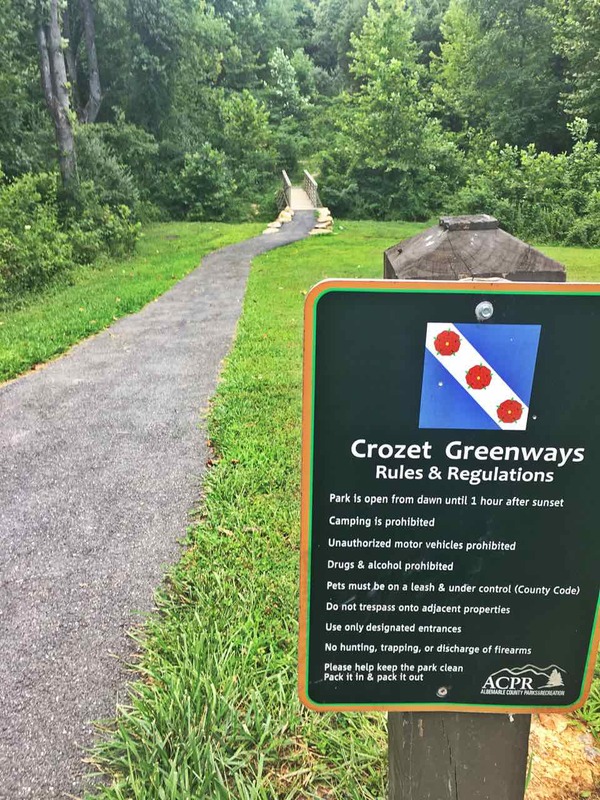 Westhall entrance to Crozet Greenway Trails. 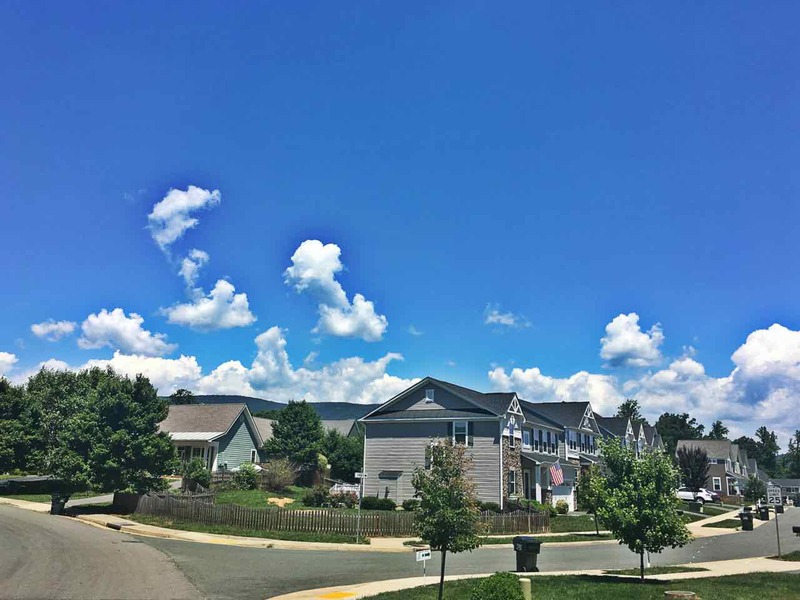 Blue sky and sunny day in Westhall Crozet. The Claudius Crozet park (home of the YMCA) also offers many year round events including a bi-annual art and crafts festival and a community favorite 4th of July extravaganza. 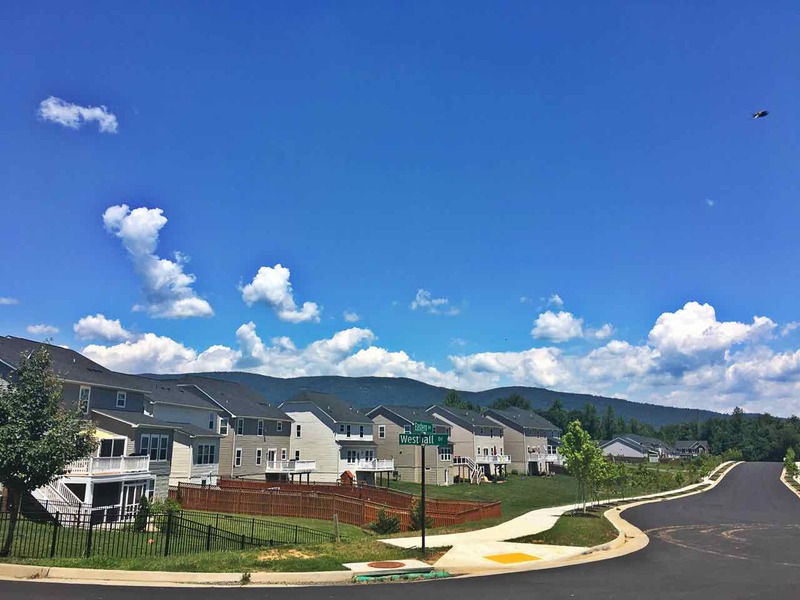 Planned road expansions are slated to provide an additional road out of the park area that will run through the adjacent Westlake subdivision and give quick access to other parts of Crozet. Westhall is made up of a mixture of single family homes and townhomes with well appointed greenspaces and playgrounds centered in the community. 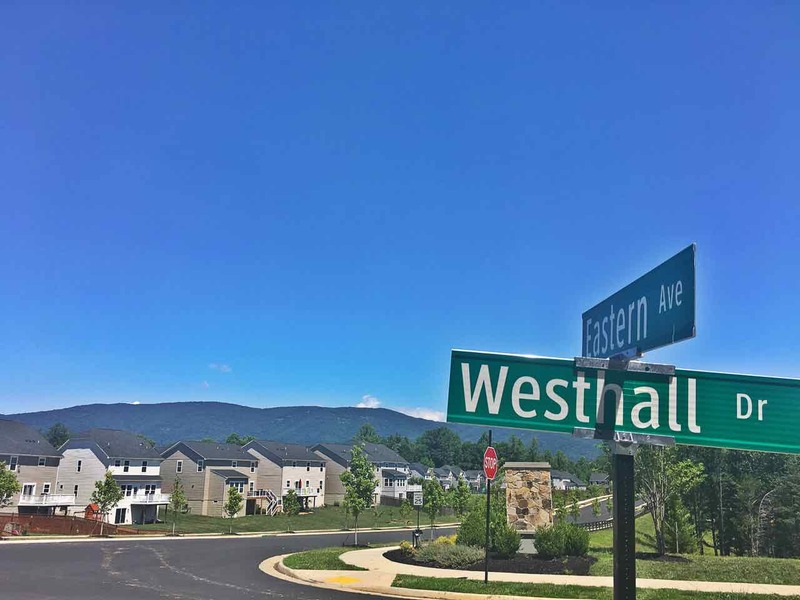 Most of the homes in Westhall subdivision were built since 2006 with many newer homes going in as recently as 2015.